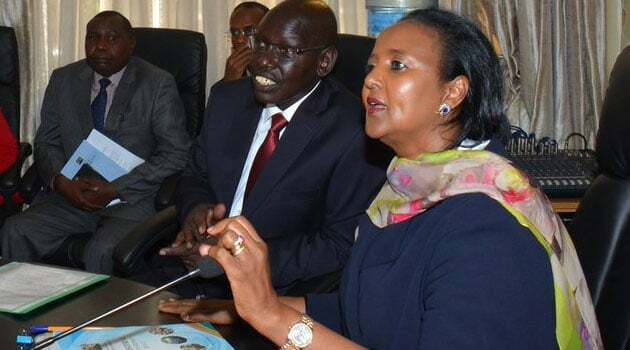 Education CS Amina Mohammed has announced that all primary schools starting next term will begin to enjoy a five days break from school. Speaking in Mombasa at the 14th Kenya Primary School Heads Association conference at Sheikh Zayed Hall the CS noted that pupils and their teachers too deserve a break. “When we announced the secondary school break, your officials came to us so we shall extend it to primary schools,” she told Primary school heads. “I’m sure you will all support this,” she added amid cheers. Ms Amina also warned the teachers against conducting holiday tuition saying that those found working will be severely punished. Amina also said that school will henceforth start at 8.30 AM and close at 3.30 PM. She also announced that the ministry will dialogue with the Kenya National Union of Teachers (KNUT) Secretary General Wilson Sossion over the looming teachers strike. Sossion on Monday accused the Teachers Service Commission (TSC) of bribing its members with Sh2,000 to abandon the strike that is set for September.